www.grobgroup.com Contact: GROB SYSTEMS, Inc. 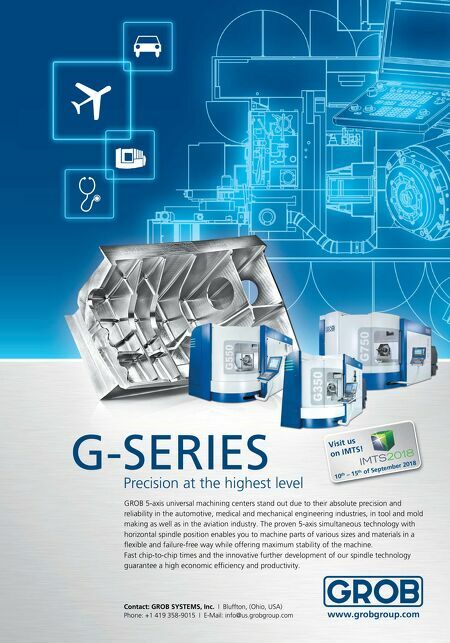 I Bluffton, (Ohio, USA) Phone: +1 419 358-9015 I E-Mail: info@us.grobgroup.com G-SERIES Precision at the highest level GROB 5-axis universal machining centers stand out due to their absolute precision and reliability in the automotive, medical and mechanical engineering industries, in tool and mold making as well as in the aviation industry. The proven 5-axis simultaneous technology with horizontal spindle position enables you to machine parts of various sizes and materials in a fl exible and failure-free way while offering maximum stability of the machine. 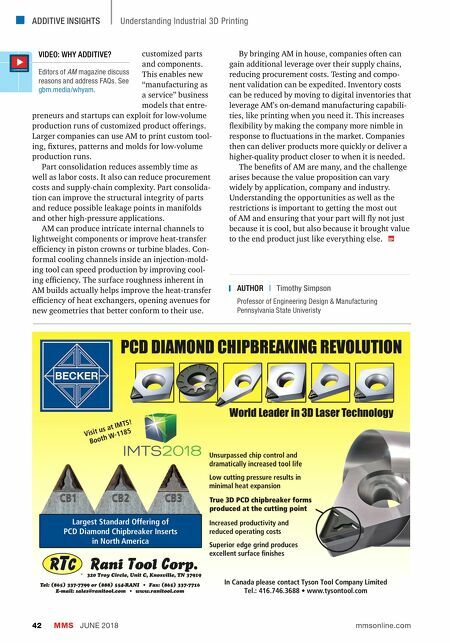 Fast chip-to-chip times and the innovative further development of our spindle technology guarantee a high economic effi ciency and productivity. 10 th – 15 th of September 2018 Visit us on IMTS!